Plot: The story of America's most lethal sniper in history. 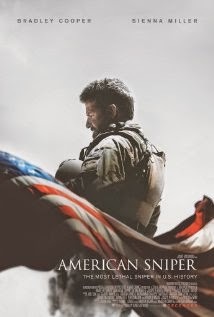 If you liked ZERO DARK THIRTY you will love AMERICAN SNIPER. This film is so brutally intense, yet so personal and vulnerable that you will walk out of the theater feeling like you knew the real Chris Kyle. The violence and war scenes in this film are not sugar-coated nor are they "Hollywoodized" either. If you've seen documentaries with actual footage of battles in the Gulf War you'll see that this matches up well. Bradley Cooper does a magnificent job portraying Kyle and his demons as well as his heart for helping others. Sienna Miller is near perfect in her role as a military wife. This is a very powerful film that will stay with you long after you leave the theater. 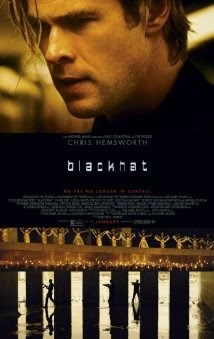 Plot: A convicted computer genius is released on the condition of helping the government catch a cyber terrorist. For a high-stakes, high-tech thriller, this film is really slow. I was expecting so much more from a plot that includes cyber-terrorism, nuclear reactors and Thor. It's an okay film, but the slow pace, the shaky camera, and the several eye-rolling why-on-earth-would-they-do-this-instead-of-that moments make for a really long two-plus hours in the theater. I sat next to a teenage computer whiz kid for this screening and afterwards he told me he thought it was okay. He thought it was laughable (as did I) that the main character is a world-class hacker, but he only types about 30 words a minute. When your prime audience thinks the movie is "okay" your film is in trouble. I will say one very positive thing though. There is a scene that was so shockingly unexpected that the entire audience gasped as one. I haven't experienced anything like that in an action flick for a long time. (That said, it's an eye-rolling, convenient reason why they are put in the situation for said amazing scene). Save your theater money on this one, there's a lot of 2015 left to go. 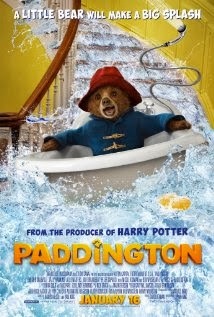 Plot: A young, lonely bear is discovered at Paddington Station and given a place to stay by the Brown family. Technically speaking, PADDINGTON is astounding. The level of effects used to bring the bear to life and the mastery of those effects are evident in this film. That being said, the overall movie is okay at best. The film has some beautiful set design and costumes, but it doesn't make up for the fact that the story is fairly bland and slow-moving. This is a kid's movie through and through so I know they couldn't ramp up the drama and action too much, but a little bit more would have been fine. I fear that this movie will be a bit too complicated for the under 5 audience to grasp and anyone over 10 is going to spend a good portion of the movie bored. Only time will tell if there are enough 5 to 10 year olds out there willing to see this movie to make it profitable. There will be several movies for kids released this year, some of which look to be outstanding. You may want to take a pass on this one and save your money for something you know your kids will like. Plot: A groom in need of a best man turns to a service that offers fake friendships...for a price. I was completely shocked as to how much I enjoyed this film. Kevin Hart is really funny, but he has a tendency to wear me out with his humor. 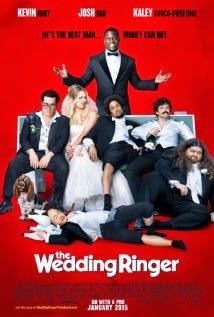 However, in this film, Josh Gad balances out Hart perfectly making for a stellar comedy duo. The story is unique and the hi-jinks will keep you laughing all the way through. And while the guffaws are aplenty, it's also a heartwarming story with enough of a deeper message to make it more than a simple bromance flick, but not so deep that it loses it's comedic edge. This is a great flick for a night out with the guys, or a fun date. And fans of LOST, be ready to run to the bathroom as soon as the credits roll, because the very last line of the movie is going to make you laugh so hard you'll almost pee your pants.